Hanover is a quaint Pennsylvania town full of history, beautiful architecture, unique eats, and superb shopping. Both rural and urban, Hanover offers something for every visitor. Founded in 1763, Hanover has a rich history that you must experience! From downtown monuments, several historic cemeteries dating back to revolutionary times, to neo-classical mansions and a fire museum, Hanover's history will keep you entertained all day long. From hiking, to horseback riding, to kayaking, there’s plenty of ways to stay active outdoors in our neck of the woods. Watch a potato become a chip, discover how pretzels get their shape, meet world-famous horses and their babies, and learn about the battle of Hanover on our many tours. With three hot dog shops, five bakeries, countless pizza joins and ice cream parlors, plus a gourmet bistro, Hanover is full of places to fill your belly. Feeling parched? Our downtown boasts four breweries serving beer made right here in Hanover. There is a budding art scene in Hanover, with theater shows playing monthly, continuous galleries thanks to our local art guild, and our very own barbershop chorus. 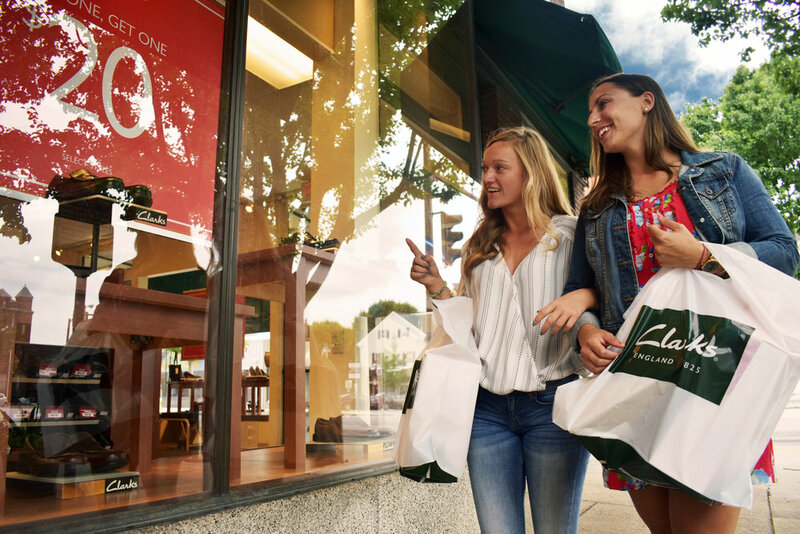 Take advantage of no sales tax on most clothing and accessories in downtown shops, the North Hanover Mall, and stores on the "Golden Mile!"